Caaaaptain Atomic! Hero of the hour! Caaaaptain Atomic! Watch the villains cower! Look! There he goes in jet pack and tights. Caaaaptain Atomic! Go Caaaaptain Atomic! 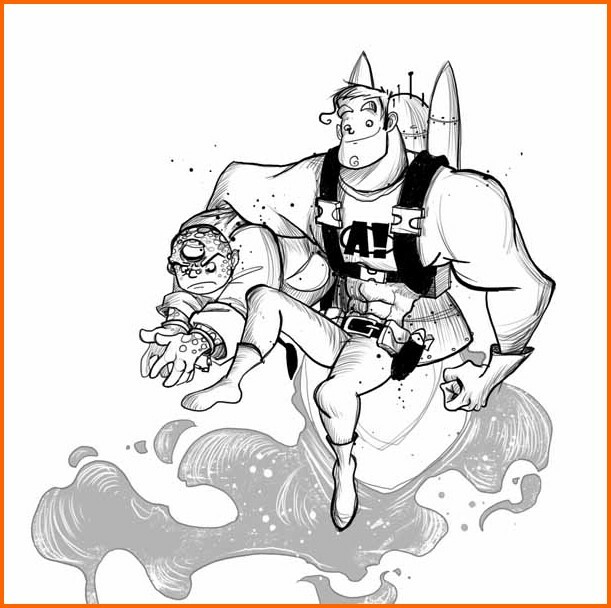 Captain Atomic is a superpowered Renaissance Man – apart from being the strongest, toughest and fastest human being on the planet, he’s cured the common cold, created the self-cleaning saucepan, saved the world seventy-two times and brushes his invincible teeth twice a day. Go, Captain Atomic! You guessed it: illustration by Jamie Littler. Thanks Jamie!